Tré Ammatuna was one of those tinkering kids, always building and tearing apart. From playing on computers in preschool to disassembling the family VCR, he has always been captivated by technology. In middle school, he was the kid in the back of the classroom that wanted to be near the computer, eager to steal away to play a few games on it. His fascination with computers cemented itself in high school. Just a few years prior, Tre transitioned from middle school to high school, and from Georgia, where his family moved after being displaced due to Hurricane Opal, back to Florida. A budding passion for video games, Tré advanced from playing Oregon Trail to playing Doom with friends over 28k modems. With the help of a 700-page book spelling out how to modify Doom, he turned the space marines and demonic forces of Doom into Simpsons characters, complete with Homer Simpson throwing donuts at bad guys. After high school, he landed in the entertainment industry. From dancer to dj to audio engineer for live music, he ultimately moved to Orlando where he enrolled in Full Sail University for Audio Engineering and Music Business. 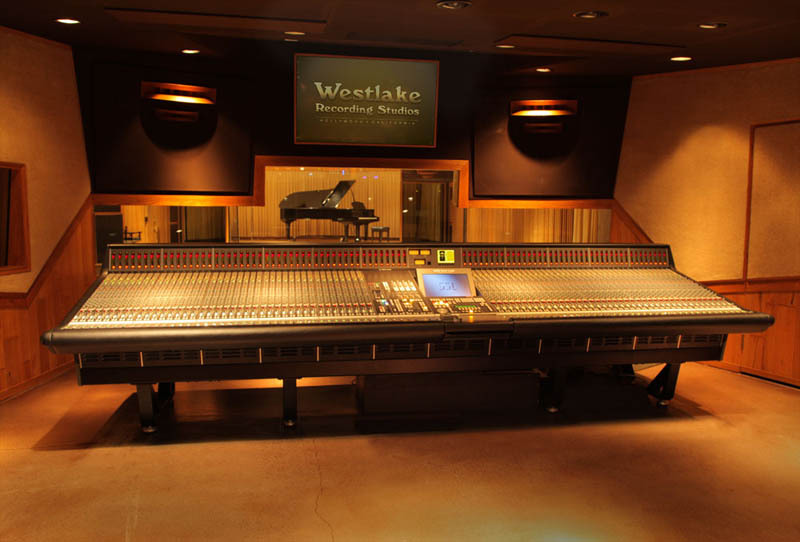 After graduating from Full Sail, his next move brought him to Los Angeles to work at WestLake Recording Studios, a famous studio which was the home of iconic recordings artists such as Michael Jackson. Over the next two years he worked with some of the biggest names in music today before deciding to circle back to live music. In addition to working as an Audio Engineer, he worked in the service industry and in graphic design, developing logos, flyers and WordPress websites for artists and venues. In fact, his graphic design experience played a definitive factor in his organic transition from audio engineering to web development. And, because of his experience in the service industry and expertise in UX, he was frequently hired by restaurants, prior to grand openings, to work on dining POS systems, incorporating new menus into the interface. Ultimately, Tré passed his interview and was accepted to Hack Reactor. “I’ve got my fiancé betting on me. I’ve got my mom betting on me. I’ve convinced them this is going to work. I’ve got to make it work." “But it’s also one of the things I harp on with Hack Reactor. It’s one of the only remote programs that does it right. You never feel alone in it. If I’m going to do it, I need a community behind it. That’s what makes the remote program successful. Even when our cohort was across the US to Europe to Australia and Japan, it was a community. We’re across the entire globe but we’re a community for 12 hours a day and 6 days a week, we were there for each other in every aspect. You’d have the HIRs jumping in to help out. You never were alone in doing what you were trying to accomplish. That was huge." "The staff is also one of the best things about Hack Reactor and one of the reasons that this program works. They are so supportive and give every ounce of themselves into helping every single student through not only the curriculum, but any other issues (both school related and personal) that come up while in an immersive program such as this. I don't think I could have gotten through this without them and really want to give a shout out to them. Thank you Cara, Cody, Ife-Chudeni, Hailey, Robin, Liz, and Rebecca!" After graduating, Tré spent the next 3 months as an Hacker in Residence (HIR), supporting an incoming remote class and instilling a sense of community he enjoyed as a student. But approaching the end of his HIR term, he anticipated the encroaching job hunt. "Hack Reactor has a program for graduates called Hacker in Residence where they hire students to help with the following cohort. My own trajectory was so positively impacted by these people during the time throughout my journey I knew I wanted to become one. However, I had no idea the impact that this would also have on myself. My position was called a Shepherd which is basically a teacher, counselor, and community leader. I worked with a class of 38 people (one of the biggest in Hack Reactor Remote history) and during my time with those students I grew just as much as I did through the main program itself. I can attribute a lot of my empathy and ability to work with other engineers at my current job to helping those 38 students achieve their own dreams." “Companies are getting hundreds of resumes for these positions and are first trying to filter through that pile. So, on initial glance they are looking for reasons NOT to hire you. When you live in a city that’s thousands of miles away, that’s a big reason, in their eyes, not to hire you. So they don’t have to deal with relocation. By keeping my current location off my resume, I didn’t give them that reason." Eventually, Tré interviewed with and received an offer for a contract position at Microsoft. Tré initially lived in a Seattle AirBnB at the beginning of his new employment. Alone. He found an apartment a month later, and his family joined him in Seattle soon after. He worked for Microsoft’s risk detection team, which conducted fuzz testing, a quality assurance technique, as a service. They used AI-backed fuzzing to test everything back from Windows 7 and Microsoft Office. Tré came in as a Contract Web UI Developer. Microsoft, at the time, used an Angular JS application. Their plan, according to Tré, was to get products suitable for release, then migrate things into React. Soon after release, though, the company’s objectives changed, and Tré’s contract position was eliminated after just 3 months of employment. Two days after the event, Tre had a phone interview with the Front-End Developer from the event; a week later, an interview, including 5 individual 1-hour conversations with Engineers, UX Manager, Development Manager and Project Managers. Before leaving the interview, Tré had a job offer. Avvo was recently acquired by Internet Brands, which also owns WebMD and Cars Direct. In total, the holding company owns 170 different properties. Tré is hopeful his template work will get noticed by Internet Brands for consideration across their properties. You can keep up with what Tré is doing or ask him about Hack Reactor through his Twitter at https://twitter.com/TreTuna. Learn more about Hack Reactor's full-time and part-time programs. We're online in SF, Austin, NYC, and LA.